A few weeks ago I had the great pleasure of doing an interview with Liana Satenstein of Vogue. We discussed my almost seven years covering Rihanna’s fashion and what it’s really like running one of the top celebrity fashion accounts on Instagram. The interview is out now and also features the amazing women behind Selena’s Closet and Hadid’s Closet. 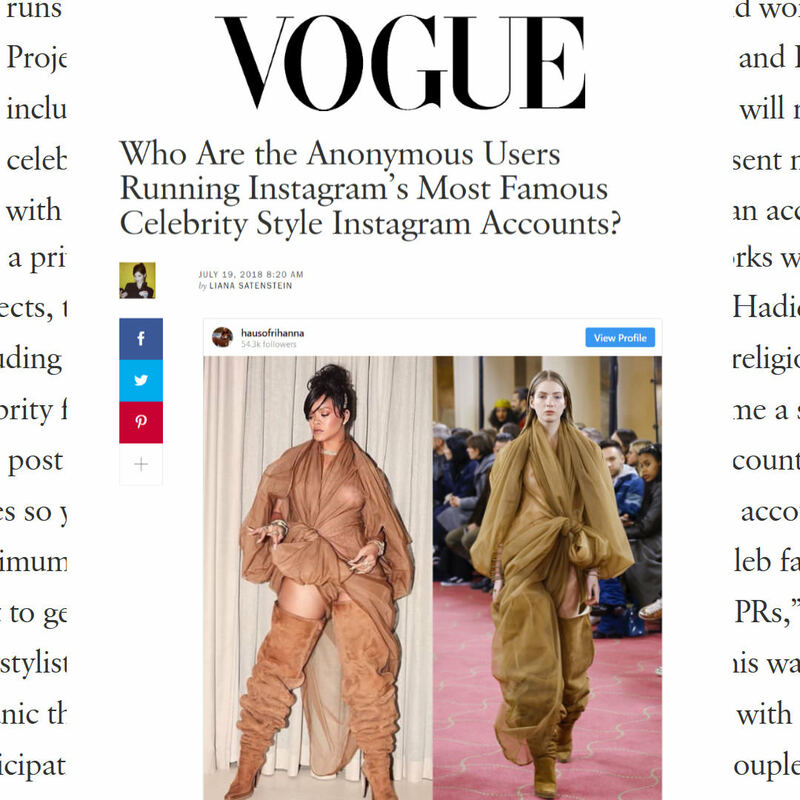 Head over to Vogue.com to read it.